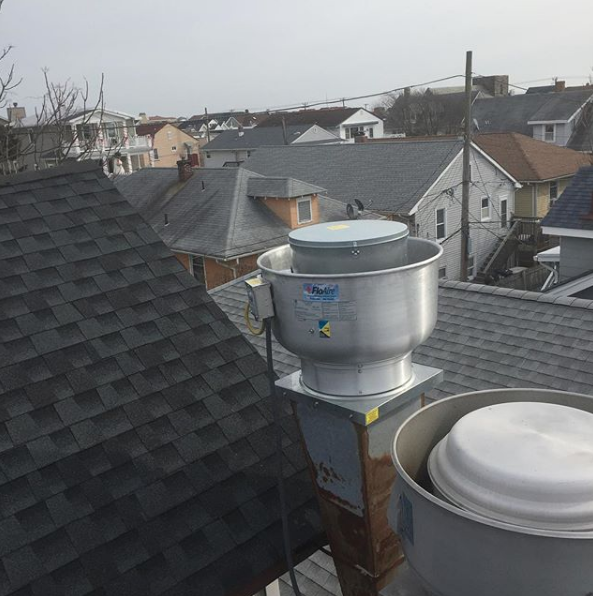 A faulty rooftop exhaust fan not only makes working in your commercial kitchen more difficult and less comfortable, but it is also a significant health risk for you and your employees. Waiting until your fan is on its last leg before calling a professional is risky. 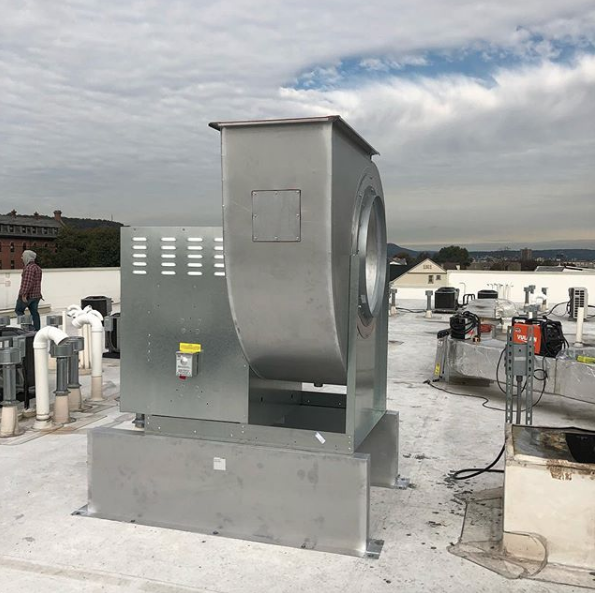 Not only is a neglected exhaust fan more likely to require extensive repairs or a complete replacement; it is more prone to break, shutting down your entire food service operation for days. Avoid the sticker shock of a surprise bill or the possibility of having to close your doors with proper preventive maintenance for your restaurant’s exhaust system. Inspect your fan blades. Have you noticed any vibration coming from your fan when the exhaust system is operating? If you have, there is a good chance that either the blades have fallen out of alignment or that they are unbalanced. Vibrations are not only annoying but can cause bolts to loosen or your exhaust unit to shift causing damage and reducing effectiveness. You should have a pro inspect the blades on your fan at least every quarter to ensure they are still tight, properly aligned, and are free of grease build-up. Check the vibration isolator. If your blades are balanced and clean, but you still notice vibrations or rhythmic banging coming from your unit, the culprit may be the vibration isolator. There are several different types of vibration isolators depending on the size and type of your exhaust system, but they all wear out over time. A faulty vibration isolator can not only shift the casing but can cause damage to the fan’s bearings or blades. The trick is catching any problem as early as possible, so any time you have someone doing work on your system, ask them to take a look at your vibration isolator. Look over your fan belt. It is quite common for a fan belt to slip out of alignment or develop micro tears and cracks. It is a good idea to ensure that your fan belt is in place and free of any damage on a regular basis. Realign the fan belt and tighten it to avoid slippage, but be sure not to overstretch which can place uneven wear and added stress to your unit. Since fan belts are relatively inexpensive, consider replacing your system’s fan belt on a regular basis before any issues develop. Examine the wiring for your exhaust fan. Ensure that the rubber coating on your system’s wires is free from cracking or bald patches which may cause an electrical fire. All of the wires should have plenty of slack to avoid stretching too taunt, but not enough that they may become twisted. All electrical connections need to be secure. Protect your wiring from exposure to weather, grease, heat or other conditions which may deteriorate them. Make sure all of the moving parts in your exhaust unit are lubricated. When your exhaust fan is operating, moving parts create friction which can lead to damage. When metal parts are rubbing against each other without enough lubrication, it causes excessive wear and can generate a lot of heat which can short out your system or lead to a fire. You want to routinely oil the moving parts of your system, but pay particular attention to the motor, bearings, valve stems, and the fan. Remember to remove any excess lubrication. Go over the exterior of your exhaust fan system. Look for any signs of rusting or corrosion. Pay particular attention to where the unit is mounted on the roof. Sometimes the seal between the roof and the unit will crack allowing water and dirt to seep inside the building. Make sure there are no other signs of damage. When your commercial exhaust fan needs servicing, you need to go with a real pro. If you have a food service business in NJ or the Philadelphia area, call Hood Services 24. Hood Services 24 specializes in the repairing and installing all types of commercial exhaust systems. They offer certified technicians who follow all of the NFPA 96 guidelines. Call 1-800-854-2068 to schedule routine maintenance or a repair. Hood Services 24 offers around-the-clock emergency services to keep your restaurant running.